Let a middle parting set the 70s mood! Add soft cascading waves for an eternally feminine, extravagant look. Spray Bodifying Spray throughout the hair. 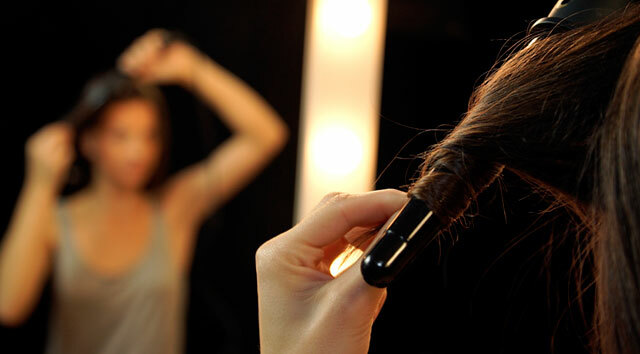 Blast dry the hair with your fingers then blow dry with a round brush. Tong the hair towards the face section by section and allow to cool. Brush the curls out gently to create a loose texture. Finish with Work It Hairspray to set the look while keeping the movement.